The idea is simple; invite hunters from richer countries to hunt an agreed number of wild animals. Use the generous fees these hunters provide to boost conservation funding for the surviving animals. Also use part of the funds to help local communities so they won’t have to poach the animals in the first place. The idea came about because of the need to rescue these mammals as their numbers steadily fell from as many as 10 million a century ago to as few as 400,000 elephants today. The huge losses are largely attributed to poaching for illegal ivory which leads to the death of at least 30,000 elephants annually. Poaching aside, there’s also the problem of the shrinking elephant habitats, since more people are taking up land for development and farming. Sport hunting is now big business in some African countries such as Zimbabwe where hunters pay as much as $10,000 for the experience. So, does elephant trophy hunting actually help elephants or not? What Does Elephant Trophy Hunting Entail? The thinking behind this conservation strategy is that rich hunters from western countries would enjoy the thrill of hunting these “exotic” animals. In return, hunters could be asked to pay about $10,000 for the chance to kill just one elephant. Under normal circumstances, the money should be used to fund conservation efforts and provide more sources of livelihood for the local community. Proponents of this theory argue that poor villagers will be able to feed their families. Hence, they won’t need to poach elephants for illegal ivory trade. Even organizations such as the IUCN that sets the conservation standards for species, is in support of this idea. They argue that controlled trophy hunting can provide some benefits. For instance, revenue would help in the conservation and restoration of wild populations as well as in the protection of wildlife from poaching. Though the initial idea behind elephant trophy hunting sounds noble, it appears most of the funds generated don’t end up where they should. Should We Be Killing Elephants to Save Them? Unfortunately, a closer look at the reality of this conservation strategy in Africa reveals that it has become counter-intuitive. Information from the fields reveal that the industry only employs a handful of people. Also the fees collected from the hunt does not reach the needy villagers in full perhaps due to government corruption. In Zimbabwe, for example, top government officials have gained control of lands located in lucrative hunting areas. Thus, they deny locals an opportunity to benefit from such elephant trophy hunting revenue. 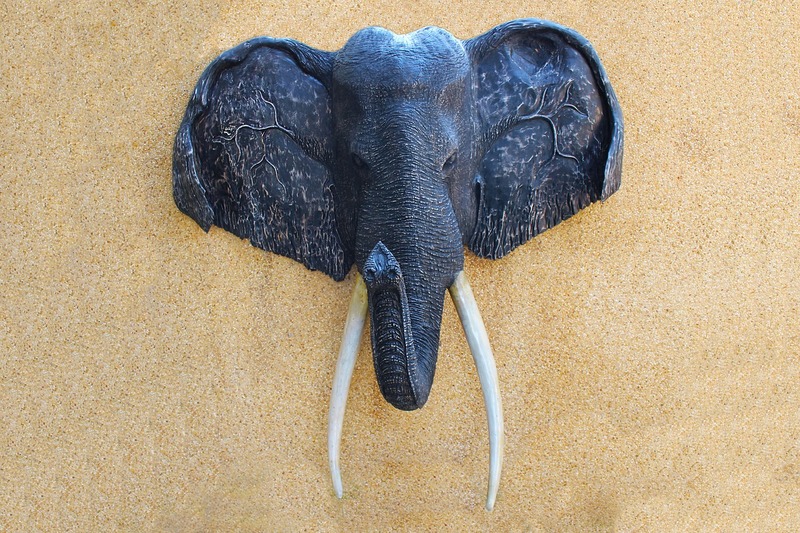 Generally, elephant trophy hunting has not helped elephants so far. Furthermore, it’s not stopping poaching, especially in countries with a bad wildlife conservation record. Countries such as Zimbabwe, South Africa, Mozambique, Tanzania, Namibia and Zambia are home to many of the remaining Savanna elephants along with Gabon and Cameroon. These nations support elephant trophy hunting despite their low elephant populations. On the other hand, Botswana which is home to over 130,000 elephants does not allow elephant trophy hunting. Figures from Tanzania indicate that elephant numbers fell from 110,000 elephants as of 2009 to slightly over 43,000 by 2014. That’s a 60 percent drop. During the same period, the population of elephants in Mozambique dropped from an estimated 20,000 to slightly above 10,000. The situation is no different in Zimbabwe. Recent surveys indicates that there has been a massive loss of elephants in some parks. Elephants in most African countries are still at risk because even when poaching reduces, populations are still low. Biologists are against any form of hunting of elephants. That’s because their numbers have not yet recovered from decades of poaching and slaughter. Getting rid of “a few elephants” may quickly snowball into a bigger problem especially when you consider their very low birth rate. There is no solid evidence that supports the theory that hunting elephants saves them.